Across her 20-year career, Carrie Yury has worn a lot of hats, including researcher, artist, and educator. Most recently, she has established her very own design research consultancy, Yuryka. With this new role, the design research veteran continues to build upon her diverse experience as she innovates and moves beyond agile research strategies to explore what’s next. In our conversations, we discuss her plans for Yuryka, what she sees as the next step beyond agile research, her views on the research industry, and more. Respondent: I wanted to begin by congratulating you on opening up your own consultancy, Yuryka. It’s been an interesting path for you here. You’ve not only worked as a design researcher, but also as an academic and artist. I was wondering if you could talk a little about this background and how it has informed your work. Carrie: I was working on a PhD in English and doing art on the side when my friend, who worked at a design research company called eLab, told me about a job. I remember asking if it paid better than bartending, and he said, “Marginally.” [Laughs] But I ended up falling for it. Since then, I’ve held a bunch of different roles that look at all the different parts of the chain of design research, from ethnography to UX research. I’ve been a researcher, a director of advanced research director, a CXO. And I’ve stepped out of the industry to teach and focus on my art career. I think I occupy an interesting position because, on one hand, researchers make their living being experts — experts on whatever it is we’re studying, experts on our specific kind of methodology, experts on our training. So as someone who has toggled between two radically different fields, I think that, while I enjoy the idea of seeing myself as an expert, I consider myself more to be someone who’s taking a critical but open perspective. I like not being situated directly in the center but instead a little more in the periphery, so I can look at problems from a slightly different point of view. When I began my career one of the first things that really motivated me was the ability to understand human behavior, their thoughts, feelings, and values, and the way people live together and what’s important to them. I like being able to translate that into making a difference. 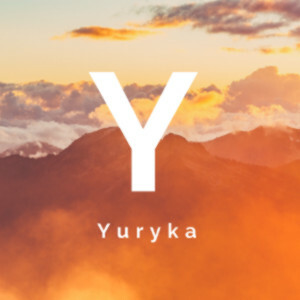 In my new company, Yuryka, my tagline is “Make things that matter.” That's the foundational motivation for me: making things that matter for people, making their lives better. Respondent: So how does this all add up to Yuryka? What’s your vision for your company? Carrie: Yuryka focuses on the front-end of innovation: human-centered design research for new product and service design. One of the reasons I’m so excited about this is that, while it was amazing developing agile research at Beyond Curious, I now have the opportunity to start focusing on what’s next. Adaptive research means building in time to be more thoughtful and intentional so that we can have the space to think about what we learned. Meaningful action demands reflection. I am developing what I’m loosely calling adaptive research, which means not tying research to the specific agile development release cadence but instead incorporating some of the benefits of that approach with taking a broader view. So for example, we’re still applying the scientific method to ethnographic and UX research and coming up with hypotheses, testing them, then iterating them. But we’re also building in time to be more thoughtful and intentional so that we can have the space to think about what we learned. Meaningful action demands reflection. Although a lot of great companies are using agile research to inform and iterate their designs, for front-end innovation work and new product design you just need a little more breathing room in order to not be chasing the train but instead be directing it. Respondent: That leads well into this next question. A lot of companies these days have been hesitant about engaging in in-depth research, especially qualitative research. As you embark on this new venture, I was wondering if you could quickly tell me why quality qualitative research is so necessary to the process of good design? Carrie: Because it’s real. When you sit down with a person and you have a conversation with them and observe their context, and you observe their behavior and interactions, you learn more and you get more depth than you can imagine. Sometimes people will balk at the small sample sizes, but when you observe people in context you’re really getting a tremendous number of data points with each individual. Qualitative research is so grounding and generative in terms of really understanding the pains that need to be solved or opportunities that are there. Companies that are not doing it are missing out on so much. Quant and data are important tools. But to really understand an opportunity, they should be used in partnership with contextual UX research and ethnography. Respondent: I love your passion. Carrie: [Laughs] It’s true though! You could do a thousand-person survey and still learn less than sitting down with someone for a couple of hours. Design problems are just so much better served by really understanding not just what people are going to tell you, but also what they do and their context and all the other depth that comes with contextual, qualitative research. Respondent: You’ve had a fairly long career conducting qualitative research. Could you talk a little about how your experiences doing this type of research in the past compare with how it is done now? How have you seen the approach to conducting qualitative research evolve? Carrie: One thing that has happened for the better is that I don’t think qualitative research is quite as hard to sell as it was when I was first getting started. More people at least give lip service as to why it’s needed. I also see UX research as a positive evolution. When I first started out, there was either usability research or ethnographic research. UX research has since become this middle space that’s a lot more contextual, while also melding the behavioral and attitudinal and emotional elements of qualitative research. On the flip side, one thing that I personally feel is a bit of loss is how many companies no longer value research specialities. For example, I just had a conversation with a young researcher who said that every place he applies wants a UX researcher who can do quant and qual and can also design. I’m a fan of bringing multiple experiences in and wearing different hats, but at a certain point if every designer is supposed to also be a researcher and vice versa, there can be a loss of quality. I think we’ve seen that in some big firms that expect all their designers to be crack researchers. It’s just not realistic. You can’t get the depth of experience or, frankly, the skill if you’re trying to take shortcuts. Respondent: That said, what’s your advice for young researchers? What’s your strategy for ensuring you get the feedback you need from your research? Carrie: My strategy is to be very clear with what my questions are. In any research endeavor, you basically have hypotheses and key questions that you’re setting out to answer. So it’s really a question of putting together a pool of participants who have the right kind of behaviors, demographics, experiences, et cetera to be able to engage with your hypotheses and questions in a real and effective way. My pet peeve is when you put someone into a situation that’s not real for them. You won’t be able to trust their feedback. So getting people to be as grounded as possible in their actual lived experience is foundational. The best way to get the right type of feedback almost always involves context, whether that means going into the workplace, retail environment, or home. But even if you must bring someone into a lab, it’s your responsibility to try to get their context into the lab. For example, get them to draw a map of their home, take pictures of their home, bring in their stuff, do whatever you can to ground them as much as possible in their lived experience. One of the great things about doing front-line innovation research is that it’s not usability testing. Every single test doesn’t have to have the exact same conditions. It’s more about learning through prompts and experiences. If we find, in the beginning or middle of any given research project, that we’re not answering the question or a new one has come up that’s more interesting than the question we started out with, then we can shift. That’s why it’s called adaptive research. It’s about learning, not validating. If we find, in the beginning or middle of any given research project, that we’re not answering the question or a new one has come up that’s a better question than the one we started out with, then we can shift. That’s why it’s called adaptive research. It’s about learning, not validating. Respondent: Given your experience, I’d love to get your thoughts on the future of the industry. In particular, what kind of obstacles do you think future researchers will face? Carrie: One challenge that has been around for a long time is the constant question of maintaining relevance. I would argue that if we become irrelevant because there’s a better way to understand people, then I’m okay with that. But if we lose relevance because we’re not able to help people understand the value that we provide or if we’re sidelined and not able to contribute to making things that matter, then that is an issue. Another big challenge, but also opportunity, is solving bigger problems. Although the development of behavior-centered research and UX research has had a lot of interesting positive effects, I think it’s also limiting our perspective because we’re too focused on the minutiae. As a group of people whose main mission is understanding and doing something positive and impactful with that understanding, we should instead be challenging ourselves to see not just the trees, but the forest and even ecosystem, as well. We need to look at how we can apply our skills and experiences to bigger problems. Respondent: What are some of these bigger problems? Carrie: There are so many, it’s hard to focus on just one. Equality. Diversity. As researchers, the socio-cultural effects of what we’re making always has to be something that we’re thinking about. Unfortunately, we’re not usually paid that way. We’re paid to make the small thing work or to solve the small problem. The good news is that I believe most people who are involved in ethnographic research and UX research are motivated by the same thing that got me into this, which is making things that matter. And if I’m right about that, then I think it’s both our challenge and our opportunity to hold onto that belief, and do something about it.